Despite its popularity and the expectation that more budget dollars will flow into it, half of companies surveyed in Ad Age’s recent study, don’t have a documented content marketing strategy. Is your business one of the 49%? Data released in the 2014 B-to-b Marketing Fact Pack, shows us that top brands are ramping up their budgets this year. Consider these 5 impactful stats when building your marketing budget. Due to the positive returns from 2013, 75% of marketers plan to increase their spending on content in 2014. 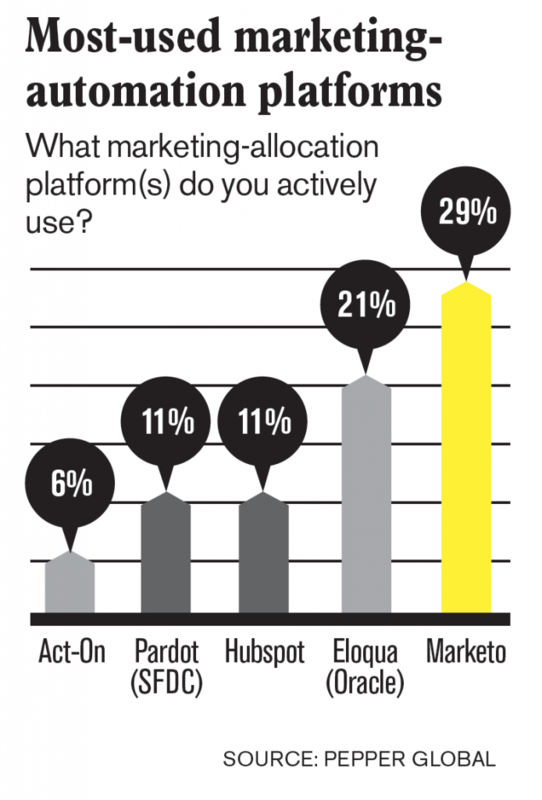 More than ¾ of marketers plan to spend 10% or more of their marketing budget on solely content. 63% of marketers track content marketing success by resulting website traffic. While 93% of companies plan to distribute content on the web, social is catching up with an increase of 12.4% over last year. These not-so-surprising statistics show that companies of all sizes, locations and industries are harnessing a boldly branded voice. Bust out that bullhorn, brands are about to infiltrate our digital spaces like never before! In a follow up article by Ad Age published last week, Just over half — 51% — of marketers say (over 12 months) their content marketing efforts are only somewhat effective; 27% rated the strategy as “neutral”; 6% said it was somewhat ineffective at delivering value; 1% said it was not effective at all. At what point are you ready to commit to spending money on tools rather than people? There are a dizzying number of content marketing services out there. First, you need to identify your goal, your audience and your strategy. The budget will evolve naturally from here. Some tools can get pricey, and according to Ty Downing, CEO of SayItSocial, “Some organizations we consult with are simply not ready for robust, automated platforms such as HubSpot. ROI matters, and fees add up! When a tool’s ROI is questionable, there are definitely still options.” Sometimes it’s worth more to invest in your team and empower organic, valuable and insightful content creation internally. You have a website, that’s where you tout your service offerings…mostly. The general rule is to only speak of your own services 20% of the time. All other content needs to provide solutions/answers that are relevant to your audience. Ask yourself, “What will our prospective clients Google today?” and start generating a knowledge base of useful, relevant content. Who is driving the content topic? Raise the bar staff-wide. The study also found that within 72% of b-to-b marketing organizations, less than half the staff plays a primary content role. Transparency is attractive – empower your team to generate their own content based on their expertise within your organization. attention grabbing: it cuts through the tech-drenched world we all live in. 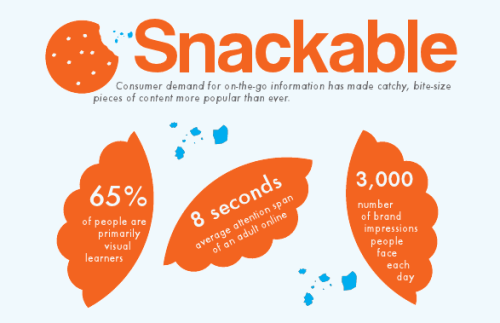 Remember the 3 S’s of Successful content: Snackable, Searchable, and Shareable. More on this tasty topic in an upcoming blog post, stay tuned! Try not to overly-promote yourself: Build your community, awareness and set yourself up as an industry thought leader. The selling will come organically. Blog! 76% use blogs to drive content marketing and see 2x increase in traffic and a 5x in leads. Blogging is critical for increasing your search engine ranking. Did you know that Google processes 100 billion search queries per month? And 15% of those have never been seen before by Google. By blogging about specific topics that address a very tailored consumer question/problem, your unique blogs will rise to the top. A digital strategy should be your own, and it takes a clever and innovative team to amplify your brand. 73% of marketers have someone (or a team) overseeing their content strategy. The fact is; your content is the foundation for a full-circle digital strategy. If you’re planning to infiltrate the digital market, like 79% of businesses in 2014, content marketing is worth the investment. Digital marketing is a must. Does Content Marketing make you nervous? What kind of questions do you have? Chime in below and let us help clear up your curiosity!